FUSHUN, China -- Even before the first Chevrolet Trax compact crossover arrived at his dealership last week, Chinese dealer He Sei was inundated with customer calls, he said. "They wanted to know when it goes on sale," said He, who manages a five-store group with the only showrooms for Chevrolet, Buick and Cadillac in this dusty city of 2.2 million people. "The view of the Chinese consumer is that SUVs are sportier, more fashionable and more youthful." 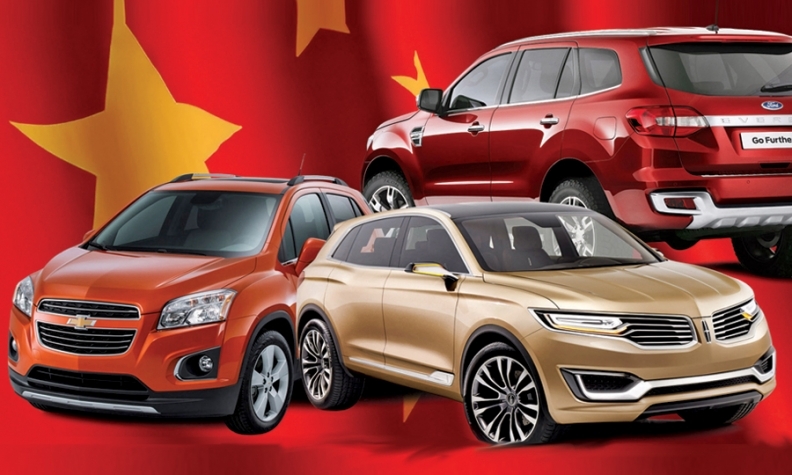 Roughly a decade after the United States, China is going gaga for SUVs. The mantra is more SUVs ASAP, as those vehicles -- including SUVs and crossovers -- rapidly supplant sedans as the most popular segment. The trend bodes well for Detroit-based automakers. General Motors, Ford and Chrysler raked in money during the early 2000s SUV boom in North America. They aim to do it again in China. At last week's Beijing auto show, GM introduced the Trax and pledged to add 10 SUVs to its seven-nameplate lineup during the next five years. Ford Motor Co. presented a Ford Everest Concept body-on-frame 4x4 and a Lincoln MKX Concept crossover. Production versions of those will soon amplify its four-vehicle SUV lineup. And on the eve of the show, Chrysler Group said it will resume building Jeeps in China. With partner Guangzhou Automobile Group Co., it will produce three models in the country by the end of next year. Beijing Jeep Ltd. had been the first foreign-Chinese joint automobile venture, but it changed focus when it was taken by Daimler AG in the DaimlerChrysler divorce. The shift is rapid, with SUVs eating into mid-sized sedan sales and usurping their role as the latest status symbol. In 2000, SUVs accounted for 4 percent of the China market, while so-called D-segment sedans, often used to chauffeur senior corporate and government officials, had 47 percent, according to data from Auto Foresight Co. But by last year, SUVs had captured 19 percent, while D-segment vehicles withered to 15 percent. SUVs will account for 7 million units in China by 2020, more than triple the segment's current size, GM predicts. Dan Ammann: Many first-time Chinese buyers choose SUVs. "Last year, more than 60 percent of people who bought their first car chose an SUV," GM President Dan Ammann said. "Think about that." As more Chinese turn to replacement vehicles or second vehicles, SUVs are increasingly on the shopping list. GM reckons that two-thirds of the market's sales will be repeat or replacement by 2020, vs. just 30 percent today. "This change will likely create more needs for different types of body styles, including more SUVs," GM China President Matt Tsien said. "We are capitalizing on that." After adding the Trax, GM will launch a mid-sized crossover from Buick by the end of the year. Ford credits crossovers for powering a 49 percent sales surge last year that catapulted it ahead of Toyota to become China's No. 5 automaker. Total China passenger car sales rose just 16 percent. "It's an example of why we're growing faster than the overall industry, because of our competency in SUVs," said Jim Farley, Ford's global head of marketing, sales and the Lincoln brand. "We are already an 8 percent player in SUV. That is double our overall market share in China," he said. Ford's upcoming Everest SUV aims to tap growing Chinese enthusiasm for outdoorsy getaways -- especially as a catharsis to the standstill traffic of China's big cities, says Trevor Worthington, head of the Asia-Pacific r&d team that developed it. "The number of four-wheel-drive clubs here is just going through the roof," Worthington said. "People are really just discovering what freedom in a vehicle means." But U.S. automakers are hardly alone. The Beijing show was a carnival of crossover intros. Lexus introduced the NX compact crossover. Audi debuted its TT Offroad Concept. Hyundai countered with its subcompact SUV ix25 concept, while Volkswagen unveiled a redesigned Touareg. And Citroen launched its DS 6WR, a China-dedicated SUV. But SUVs and crossovers are a traditional stronghold of the Detroit brands. And new product can't come fast enough for He. Right now, the dealer sells just four crossovers from GM's lineup. They account for 15 percent of his operation's total sales, below the industry share of 30 percent. He expects that to change soon. 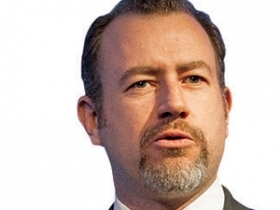 "With 11 new SUVs, our share should climb above the industry average," He said. "So I'm very optimistic."